The exquisite sharpness of this 2005 image from NASA/ESA’s Hubble Space Telescope has plucked out an underlying population of infant stars embedded in the nebula NGC 346 that are still forming from gravitationally collapsing gas clouds. They have not yet ignited their hydrogen fuel to sustain nuclear fusion. The smallest of these infant stars is only half the mass of our Sun. 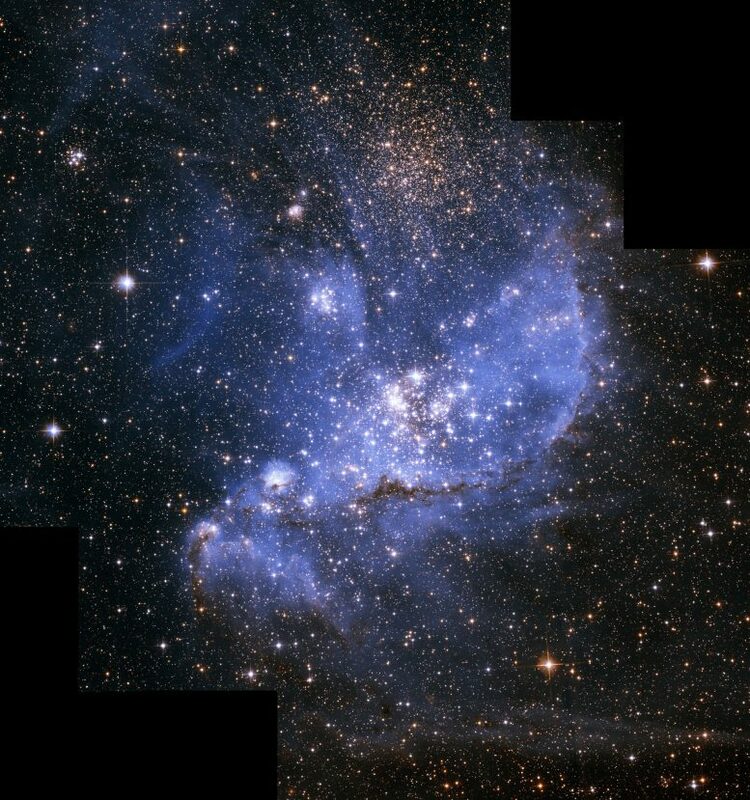 2 Comments on "Hubble Telescope’s Impressive View of a Stellar Nursery"
‘not yet ignited their hydrogen fuel’ – really – how comes they are all shining brightly then ??? how can you explain all that obvious energy ? Try thinking about Electricity as the source of that energy – active energetic plasma is what you are looking at – check out Plasma Cosmology a la Halton Arp, and then study Electricity in space, and you might begin to understand what you are looking at. Everything’s Electric ! I see that ‘magnetism’ is slowly getting admitted to – but you CANNOT have that magnetism without electrical forces ! All those suns shining brightly are focus points of electrical energy. No nuclear forces needed !